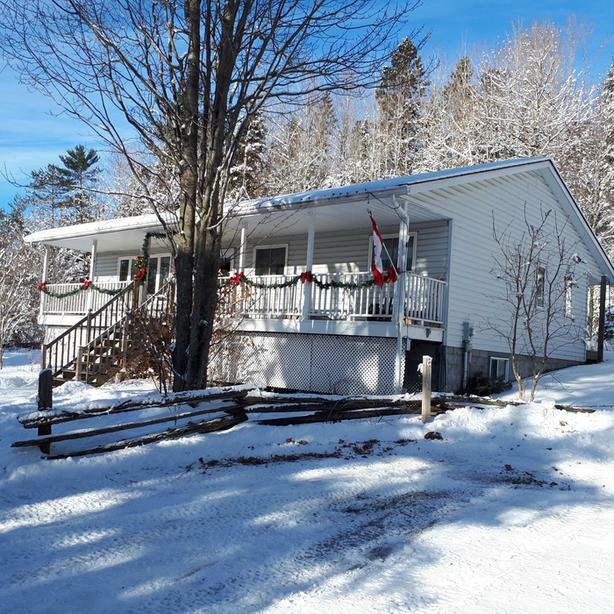 Beautiful country home nestled upon 4 acres on a quiet street in the Hamlet of Little Rapids. Fully wooded lot on a municipally maintained road. This is a must see with Hardwood floors, open concept with a deck on front and back of home. In the heart of fishing, snowmobiling, ATV and other recreational interests.